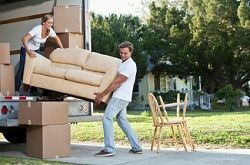 When you’re thinking about moving a home, Moving Service is the company that you need to provide you with the right removals services in Mitcham, CR4. We focus on helping people, businesses and anyone else with all sorts of removals, meaning our expertise is just what is required when you’re worried about the best way in which to move into the new property. No matter what it might be that needs to be moved, it’s our experience that keeps everything smooth and simple. If you want to relax, we can take care of the difficult work and all of the heavy lifting. One of the main things which people worry about when moving is how to handle all of the packing. With our assistance, you can enjoy the best packing services in Mitcham, ensuring that all of your possessions are properly stored for the transit to your new home. We can even advise you on which packaging materials are right for the move and which can offer the right protection. So, when you’re considering removals experts to keep everything safe, all you need to do is call us on 020 8746 4402 and we can get you a free quote for the best services around. What Does Mitcham Have to Offer? The area is located in the borough of Merton in South West London. Traditionally in the county of Surrey, many now see it as the border between inner and outer London. The surrounding areas of Steatham, Totting, Morden, Sutton and Wimbledon add to the extra connected nature of the area. Bordered by the boroughs of Wandsworth and Croydon, it is one of the most visited areas to be found in the south of the city. There are several notable buildings which can be found in the area, known for their history and their age. The Canons House, Eagle House, Mitcham Common Windmill, Old Mitcham Station, Elm Lodge and Mitcham Court are noted for their location and their interest to the general public. As well as this, the area has recently become a great destination for those who consider transport to be a priority. Stations such as Mitcham Eastfields, Mitcham Junction, Tooting, Tooting Broadway, Colliers Wood, Norbury and Streatham Common all provide access to the over ground and underground rail networks. At Moving Service we want to help everyone and that means businesses can rely on us to deliver to quality help when moving to a new office. With the help of our team, those who need office removals in Mitcham, CR4 can rely on our expertise to provide the kind of help which matters most. We want to help you and your business remain productive at all times, which means by helping you find the kind of office and commercial removals you can really focus on the hard work, so you don’t have to. If you want to discover a solution which will appeal to you, your staff and your customers, then we can help you get the results which really matter. Hiring our help is even ideal for students. Rather than having to worry about the end of term and how best to get all of your stuff from one place to another between semesters, we can provide you with the best student removals in the area. The help which we can provide students is scaled down and cost - effective, meaning you can focus on your studies and your schoolwork without having to worry about the best way to treat your possessions. To find out more about our services, just call us on 020 8746 4402 right now and get a free quote. What a wonderful team of movers at this removal firm in Mitcham CR4.